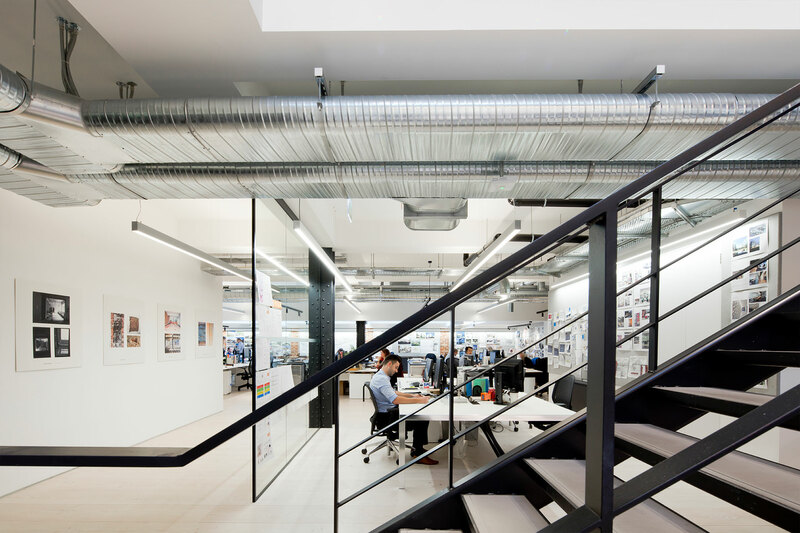 12,000 sq ft Cat B fit out of 1930s art deco building, Elsley House for global architectural design firm HKS. 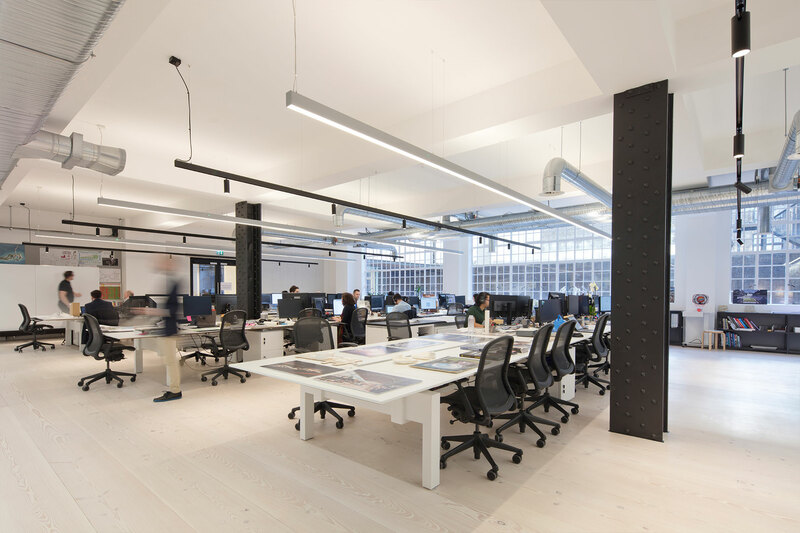 The fit out involved creating meeting rooms, a private study, and model shop, with bespoke fittings and finishes including joinery, feature lighting, ceiling and wall fabric, blinds and decorations. 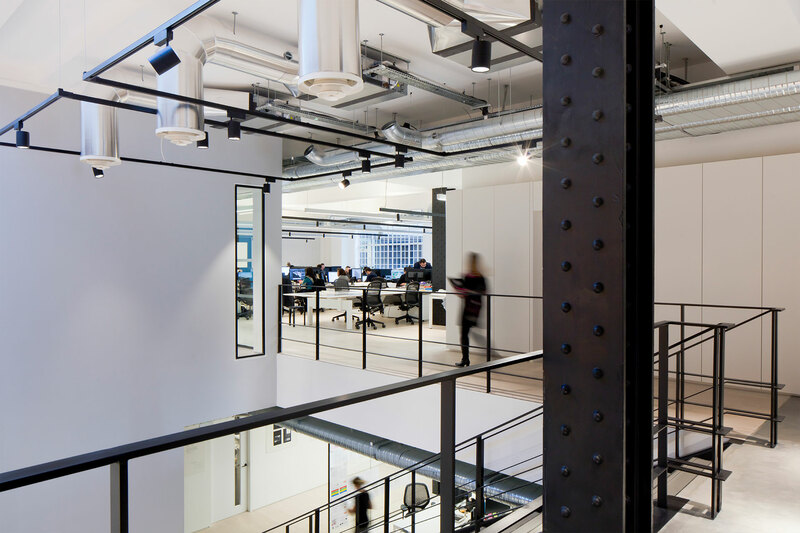 Our team also installed a new staircase between the lower ground and ground floors, with 6,900 sq ft of timber flooring and polished concrete flooring, sliding glazed pocket doors and bespoke metal black box offices. 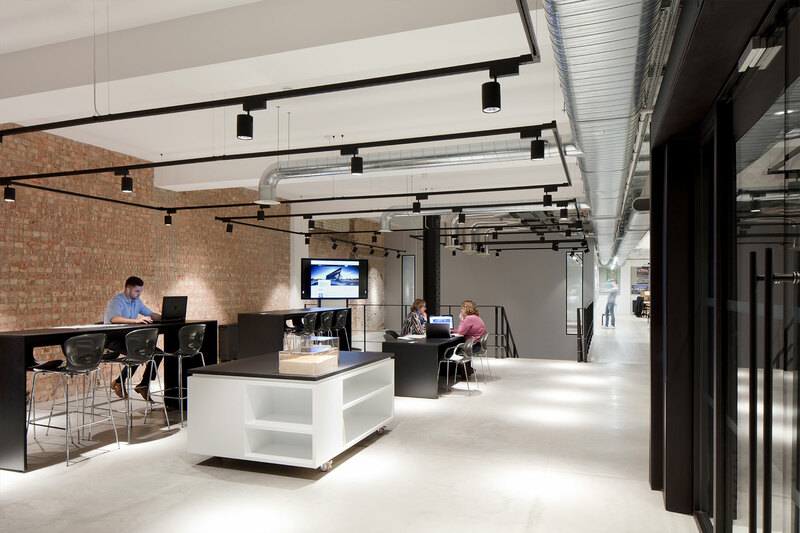 The project was completed to a 16-week programme within an occupied office which required continuous communication with the client and professional team.